Articles are the backbone of the Internet. Having undergone many metamorphoses over the years, the articles currently being used throughout the Internet are some of the most useful. Keyword stuffing and other Black Hat SEO techniques have fallen by the wayside and now a more Organic SEO approach is taken by SEO agencies looking to provide a better search engine ranking for clients. Article writing is in the spotlight as one of the best ways to increase your exposure on the Internet. While writing articles that offer any kind of useful information will help you to get results, the article writing in Australia offered by Smart SEO gets the best results. This is because our articles have been written in such a way that they attract more attention throughout the Internet. Other websites will create links to your articles when using them as references. Others will simply recommend the article to their readers. 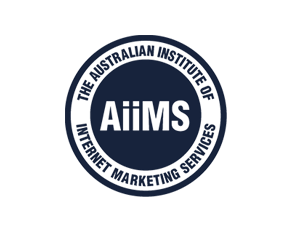 Either way, Smart SEO provides the article writing Australian businesses need to get results. Smart SEO has a team of top-notch writers developing premium content for Search Engine Optimisation. We employ writers from every industry to right succinct and interesting articles that focus on specific keywords to provide you with the best results. The article writing we provide can be useful on your homepage as well as for developing backlinks. Pave the way for success with the best article writing in Australia. We deliver on our first page rank guarantee for all our clients. Come see what a real SEO campaign can look like with Smart SEO at your side. Call us today on 1300 641 849 or email us at Info@smartseo.com.au.